Stingless honey bees are found in most parts of the world. It some what varies in color and appearance. One thing common among them is they are all small not bigger than 5mm and they have no stinger. In Kerala we call it cheruthen eecha, it is 3mm in size. This species is know as trigona iridipennis. Did the bigger bees develop stinger or stingless bees lose their stinger??? 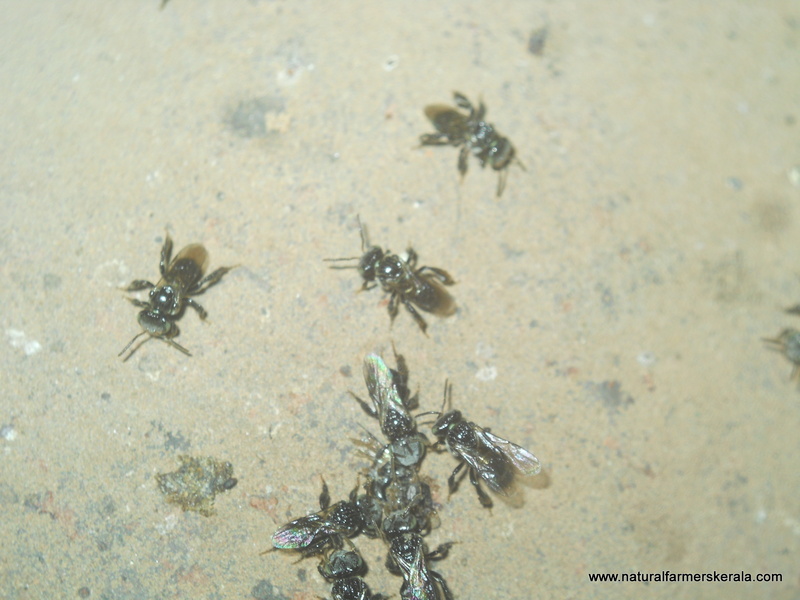 How does it matter; stingless bees effectively defend their colony by trapping ants and other pest with propolis or plant resin, biting, even with humans they use propolis along with biting on eyelids and crawling inside the nose and ears. Many people buy honey of bigger bees regularly however they are not willing to keep them in their farm or garden because of the aggressive nature. For such people and farmers stingless honey bee is the best option. Stingless Beekeeping is know as “meliponiculture”. Only drawback is they produce less honey. On a average a bee colony can provide some where around 200 grams to 1 kg of honey in a year. This also depends on how big the colony is and nectar available locally. However some farmers have been able to get 2 to 3 kg from healthy colony once in a while. Cheruthen(Stingless bees honey) is considered superior honey in Ayurvedic texts and other medical journals. It is mostly administered to kids for mild fever. This honey helps to reduce fever and treat many kind of infections. I don’t have a supporting document here. However I can guess why it has the ability to reduce fever(Stingless bees feed on thumba-poo which is antipyretic, anti fungal anti-microbial etc. for more details on thumba read this Leucas aspera). 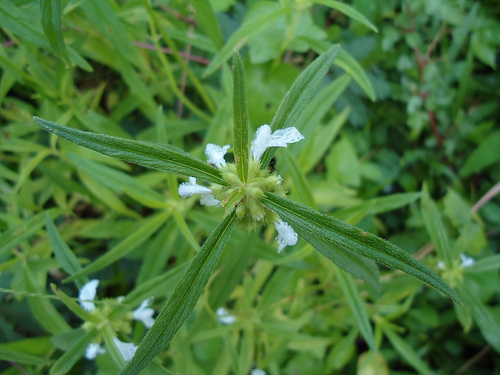 There are many more medicinal plants that this bees feed. Not just in India. Africans, Australians, most part of tropical area and South Americans consider this honey as medicine. Unique Manuka factor(UMF) is a term used for honey produced from manuka tree flowers which has high antimicrobial properties. Somehow I feel the honey collect from here in Kerala is superior to honey with the maximum UMF. Because there are a lot of medicinal herbs here in Kerala that this bees feed on. Honey is not just used internally, it can be successfully used to heal a water oozing wound. It is largely because of the hydrogen peroxide, antifungal activity, rich in antioxidant, antimicrobial that helps heal a wound. If a wound is left untreated it oozes liquid, this happen sometime even after applying antibiotic ointments, when natural raw honey is applied there will be no sign of fluid and healing is much faster, I have tried it. It does a excellent work. Cheruthen is considered medicinal because it collects nectar and pollen from small wild growing plants and trees, it is difficult for bigger bees to get inside smaller flowers. Bigger bees are mostly circulated in fruit orchards, where all sorts of chemicals and hormones are used for production. How can that honey be medicine or consumed??? 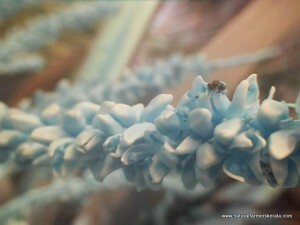 Have been noticing these small bees like coco palm tree(theng) flowers. It has very less nectar but lots and lots of pollen. It reminds me in olden days people used scraping of tender coconut leaf which has a ashy coating for wound dressing. It has anti-microbial quality. Even virgin coconut oil has the same qualities. So pollen and nectar should definitely have the same qualities. Stingless bees largely feed on coco palm, banana, guava, papaya, mango, tamarind, thumbapoo, Communist pacha, touch-me-not plant(thottavadi), jackfruit tree, Tulsi (Holy Basil), kulir mavu, teak for honey, pollen and resin. Note in the forest it will have much more variety. Benefit of keeping at-least one colony of stingless bees in your farm is you can extract honey anytime of the year, there will be always little honey. Stingless bees store honey in small pots made of wax and propolis(resin extracted from tree buds and sap that flows from trees. It looks like bunch of grapes. They consume and also feed very little honey for their young ones as compared to larger bees. They seal and preserve excess honey and start building new honey chamber if there is space. Even during non flowering season they are active and raising new ones. Unlike larger bees stingless bees lay eggs and store pollen and honey just once till they emerge as bees. In most cases more than 70 percent of bees with queen leave the colony for a new location if space is a constraint. Stingless bee honey is not overly sweet and has a pleasant taste and aroma. Larger bee honey is overly sweet. Stingless bee honey is medicinal because of the flowers and trees it visits. Stingless bees don’t mix pollen with honey. Most people who have seen the nest misunderstand that pollen is the hardened form of old honey. It will have a little honey pot here and there in the pollen storage bunch. Pollen will always be close to the entry of the bees colony. Larger bees mix honey and pollen together know as bee bread. Stingless bees wax is not white or off white in color. It has a golden texture when melted and filtered. 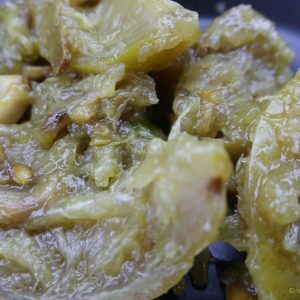 Raw form of wax may be dark brown, green, black in color depending on the local available tree resin. Stingless bee honey has more water content as compared to larger bees. If not take care it will spoil in room temperature. Traditionally people added two or three white pepper seeds to preserve it. Stingless bee’s honey is mostly in shades of amber color. Larger bees honey comes in many variety of colors. Before proceeding ahead word of caution. Never expose a colony during night. Everthing has to happen preferably during morning hours. If you are transferring a bee colony from one place to another. This should happen during night after sunset by then all the bee would have settled in the hive. If you are extracting honey or transferring the colony to a new hive. It is always good to used a clean plastic bottle with small ventilation to trap the bees from the entry by hitting at the back of the hive with your hands and placing the bottle mouth at the bee entry spot. Most of the attackers will come out immediately. Now just close the bottle lid and let them rest while you do your work. Bamboo Beehive – This bees like hollow tree trunks and sealed cavities. So bamboo is the best substitute while transferring them to new location. 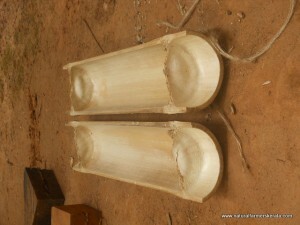 Split open a Bamboo in two halves as shown in the below image. Most of the bee colony is difficult to extract, their entry is always small, less than 1 cm. If you can break open. Make sure you get all the eggs and larvae in the box. If you are unable to reach the colony. Use a flower pot and make a small opening at the bottom. Now you can attach the mud vessel to the entry binding it with cement and mud with some support for few days. 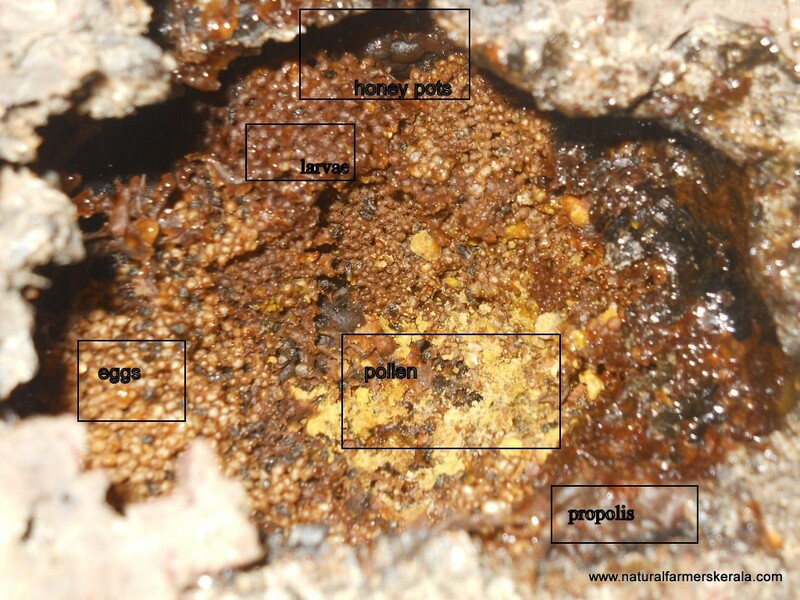 Now apply the propolis(sticky stuff found on the entry of the colony/ check the below image) to the mud vessel opening. Bees recognize their colony with the smell of propolis at the entry. Now wait for a minimum of six months for the bees to transfer or build a new colony in the vessel. Don’t have patience then go a head and break open the colony and transfer the bees, honey, pollen, eggs and propolis. Make sure you keep the new colony near by the old one till sunset because many bees would be out for gathering honey and pollen. When it is dark you can transfer them to a new location. New place has to be elevated from the ground. Keep away and watch out for ants. Hanging the hive on trees or other place using ropes also don’t work. Bigger and small ants are a big problem. Best option is keep the colony on a table and immerse the leg of the table in water(best way to keep ants away). Ideally I believe colony should be kept on this table for coming 2 to 3 months. By this time the colony would have established itself and the entry would be sealed which should keep ants and other pest away in future. will post some time later on how to extract sting-less bee honey and multiplying the colony. It is available in my house. My father has some cheruthen bee hives. You will get original cheruthen which has excellent medicinal value in Ayurveda. do u have honey for sale,if so pls send me details. Send you PM. I have around 7kg of tribal honey currently (Cheruthen honey) with me. cost will be 1800 for a kg. Jithin it is very difficult to get hold of good quality cheruthen. Have send a mail to your personal id. I am interested in cheruthen farming.i have 2 hives.but i need expert advice from you like splitting the hive honey extraction etc..
Mithun send you a PM. Thanks for these much information about cheru then. When I needed it for some medicinal purposes for my son I had a hard time getting it. Actually, we have two colonies in our compound wall, but I dont know how to obtain honey from it or how to protect those colonies. Anyways, I am interested in farming it at least for domestic use. It would be a great help for me if you guide me regarding this. It is better to keep the bees in a wooden box of capacity 2 lits. Hello. Thank you for the information. I would like to know what should be the length of the split bamboo? It depends on you. too big is not easy to transport and manage. Bigger the better, more space for bees and less chances of the bees looking for a new location. @ NaturalFarmer, thanks for the reply. Could you also send me an email with details that you sent Jithin and Mithun? This bees are on the verge of extinction at least in most part of Kerala. Because of habitat destruction(they need water proof cavity). I believe providing comb intact with honey is little difficult when handling with small farmers because when you extract this honey comb, it gets damaged. You will need a well build comb with separate honey chamber which is not yet being used in Kerala. But I am aware of farmers with 50 to 100 combs. But 10 per month will be difficult, because farmers are all scattered at different location. Another fact is sting less bee honey stay good when extracted during Jan month during full moon. However you can anytime of the year extract and consume honey. I need cherutheen in large quantities. Can anyone direct me to farmers who are into farming of Cheruthen Eecha. Also, would also like to start a bee farm. Why advice as to from where I can get colonies. Yes you can use pvc pipe. It works. end caps are very important only them it will have support. tying a rope will not work. Thanking You Natural farmer..Does it matter the size of hive for making a new hives,i meant why some people grow bees in coconut shell,which is very small when comparing to clay pot or flower pot…? no there is no issue in the size of hive. Actually bigger the better. I am aware of coconut shell being used as hive. Thing is when complete honey is extracted every year their growth limits. So they can be managed in that shell. On the other hand if you don’t touch the shell hive for few years. They split and look out for new location. Few will remain back in the shell. PS: Sting-less bee can have multiple queen in one colony. Ans:- Shinoj, have send you a PM. Could you sent me a PM about dwarf bee honey,please,that would be a great help for me ,becoz ihave around 25 honey comb boxes..
Ans:- Please check you mail box. I am also interested in stingless bee keeping. Just started by splitting a colony found in my home. My question is do you have any model or desogn of the cage that can be used for extracting maximum honey out of a cage without disturbing the hive and takes less time for the next extraction. I have seen some articles about australian stingless bees and artificial hives but not sure if it can be used for the species found in kerala. I have read about it. It should be possible for our sting-less bees. Honey can be stored in a different chamber But wile extracting it has to be crushed because of the shape and the way it is fixed in the hive. So it will take the same time for harvest. But you don’t disturb other part of hive, that is the only benefit. I would love to try it. Will get back when I get one. can you please message me your contact details. Please let me know the contact details from where cheruthen can be purchased, preferably near Thrissur. It is very rare you will find good cheruthen in market. 600 rupees for a kg is current price; but I am sure you will not find genuine honey for this price. Most people mix 50 % cheruthen and 50% larger bee honey and sell it. Genuine one will cost around 2000 to 3000 rupees. Sorry I am not aware of people in Thrissur area. Have send you a PM, may be that person will be of some help he is from kottayam. If you want pure cheruthen please contact us. സുഹൃത്തുക്കളെ എന്റെ കയ്യിൽ 2 ചെറുതേൻ കൂട് ഉണ്ട് .. കൂടുതൽ കാര്യങ്ങൾ അറിയുവാനായി സഹായിക്കാമോ ? 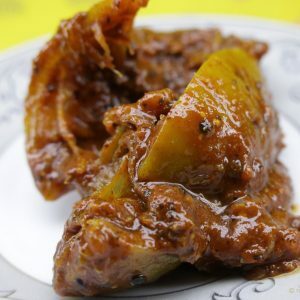 ഞാൻ കോട്ടയത്ത്‌ നിന്നാണ് ….. I Want a honeybee colony please help me.. I don’t have bee colony for sale. If you are from Kerala and in need of normal bees(apis cerana). You can ask agricultural office in your locality for training on bees. They get funds each year to organize (horticorp). you may get a colony at subsidised rate. but beware colony will be in bad shape including bee box, they use third class wood and not properly developed bee colony. If it is for stingless bee, then sorry my dear friend it is not so easy to get hold of stingless bee. Anyways send you a PM. Dwarf bee colony is available with me. Can you please email the details of where I can get genuine unadulterated cheruthen? Price is not an issue but quality is. Thanks in anticipation. ഞാന്‍ ചെറുതേനീച്ചകളെ വളര്‍ത്താന്‍ ആഗ്രഹിക്കുന്നു. ഞാന്‍ trichur നിന്നാണ്. എവിടെ നിന്നാണ് എനിക്ക് ഒരു ചെറു തേനീച്ച കോളനി വാങ്ങിക്കുവാന്‍ സാധിക്കുക? i will we visiting kerala for a vacation. can you give the details of where i can get a pure honey. I am from thrissur, where can I get stingless bees and hive from? Could you pls give an idea on when is the right time to split the colony ? I have three colony. Is it compulsory to check whether queen bee is present in both the colonies ? Two of the colony i have is in bigger box that of bigger bee. Also the size of the colony is big. So can i split the same into three ? Pls guide. January month is the best. So the new colony still has time to establish itself. If done late during summer months its litle difficult to get honey and in rainy season you stand the chance of losing the new colony. No need of queen in the new colony , they are well advanced and will develop a queen in few days time. Just place few eggs in the new hive, that’s all, say your palm size. yes if you have sufficient eggs then go a head. note eggs are white in color and larvae will be a darker shade. Hope this helps. Lets me know if you need more info. Thanks alot for the information. Also need to know whether after splitting the colony, can the new and old be kept side by side. No no. Just after splitting the colony old one should be moved to a new location say after 4 to 5 hours. so the new one will have eggs and some bees. And few from the old colony may also get into the new colony giving more strength. Some prefer the other way. Please do this during day time morning. If kept in the same place. Chances are all bees will get back into old colony and when new ones take birth from the eggs also will move to the old colony. I say this coz I have experienced it. thanks for the nice piece of advice…..it was really helpful…. Would like to try bee keeping. can anybody guide. I would like to start the Cheruthen Eecha colony. So pls send the details to me where will get it and also contact details of you. I am from Thrissur. Please send me details of place from where I can purchase boxes with cheruthen bees. I am from Pala, Kottayam. I am planning to start Cheruthen Eecha colony. I found a natural colony at my home. Could you please send me the instructions to transfer the colony to a wooden box and other details. I am interested to start small honeybees .Please help where it get I am from Perumbavoor. Good for know about the results. All the best. 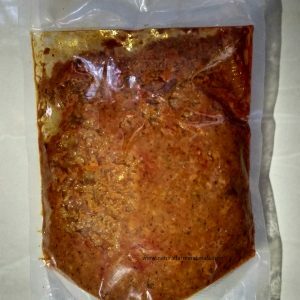 Could you please let me know the place and contacts to buy pure cheruthen in Trivandrum. Send you a PM. Sorry for delay. Its very rare to get pure good quality cheruthen. I would like to get a Stingless or drawf(Cherutheneech) honey bee colony. I am located in ernakulam. can you please suggest? I am contacting you from Coimbatore in Tamil Nadu. I have been looking for Dwarf bees for a long time. I am very interested in buying a colony of cheruthen eecha. Its very difficult to find cheruthen eecha. Reju, Please contact your panchayat office. Horticorp does the training. Yes its possible to transfer the bees and eggs. it has a very unique flavor and aroma. And its not overly sweet like the large bee honey. Good luck. Just one information if you´re curious about. In the neotropics many species of stingless bees, mainly the ones belonging to melipona genus, are as big or even bigger than the common honeybee. They also produce up to 10 times the amount of honey per individual than the honneybe, although their colonies are much smaller. I would like to start dwarf honey bee colony. Could you please provide me the details to transfer a honey bee colony from my wall to a box? 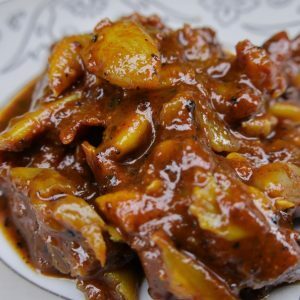 thanks for the infos u shared, please tell me from where i can buy the original cheruthen in kerala??? me from muscat, so anywhere in kerala is not a problem. expecting your reply. Could you please help me in finding good sources of honey bee farming around kottayam. 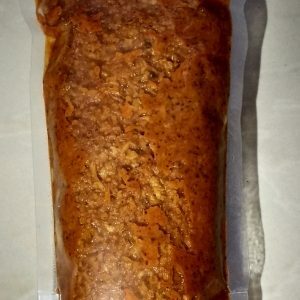 self s. I really need some help with training and advice on marketing the product. I live in Kovalam Nr Trivandrum. Can you send me any information that may help me in my in my task. iam very well interested in cherutheneecha farming .where can i buy bee colony in kollam,kerala ? please mail me the details…thank you. Read all the queries and answers above. Really helpful and to the point. Great work you are doing! I have a recently split my colony into two and moved the old one to a new location. That one has regained its strength. But the new one seems to be having fewer bees now. I had placed half the eggs in it and most of the bees had entered that pot on the day of splitting. Do I need to worry, or does it take time for the new one to establish itself? I want to start a full fledged honey business. I am from Andamans. I have kept 2 and a half acres of land to start a agri business surrounded by jungle and farms. We have tropical climate in Andamans. So kindly suggest me the place where I can get proper training to start this business in a professional way. I am from Trivandrum. I would like to start a cherutheen colony.Please from where can I get more details? I’m interested in stingless honey bee culture. Could you provide me the details of where can I buy a colony ? I am very much interested in bee keeping. Give me valuable advise about this , Please send your contact number also. സുഹൃത്തുക്കളെ എന്റെ കയ്യിൽ 2 ചെറുതേൻ കൂട് ഉണ്ട് .. കൂടുതൽ കാര്യങ്ങൾ അറിയുവാനായി സഹായിക്കാമോ ? I have stingless bees colonies in my home wall . Which is the best method to catch them? And how many times we can divide one colony in a year? 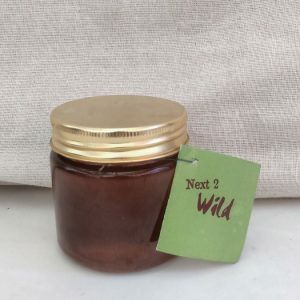 I bought small Honey from NatureLoC.com last week. The honey looks fresh and natural.. Good. My Kids loved it. Am from trivandrum…heard that honey mixed with lemon juice n lukewarm water taken in first in the morning help to fight with obesity..bt am not sure that which type honey is use for that…cheruthen or vanthen…can u please send me a PM including which type honey is used for that and how can i get it from u with price details? Can you kindly tell me where in Kerala can i get these boxes from? their size and cost as well? Did you get the details. i want to buy 1kg or half kg Stingless honey could you help me out how can and from where i can buy it ??? 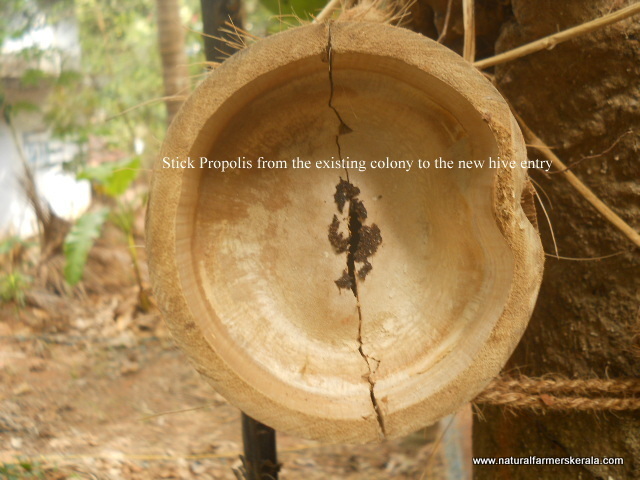 I would like to start some bee hives in my small rubber plantation in Kottayam district. How can I start this. I will have attract bees to the box, and I do not know this. That was an interesting discussion about Cherutheneecha. I have noticed there were so many requests for various types of information related to stingless bees. I believe you have replied to all those requests. Thanks a lot for your good service. I think if those responses were also visible on your blog, it may have been very helpful to all those visited you or read your article. I am living in trivandrum and interested in small bee farming. Could you please guide me where i can get small bee colony?. i had placed a pot on the wall of hive for 2 yesars. but the bees are intelligent. the made a tunnel from the pot to the wall… what to do for making them in pot. Make sure the pot is away from sunlight or other disturbance. Cover something on top like a board so no sunlight penetrates. Use a new pot again. Since they are adjusting to the new hive it will do that so no intruders get inside. See if you can keep the hive on a raised platform with legs of the table submerged in water. So not ants get inside the hive. I wanted to start small bee farming.. I am from Alapuzha. Could you please share a phone number who can help me for it. Where can i buy dwarf honey bee from Kerala? How much does it cost. Please consider providing address and phone number. I am from Odisha (Eastern part of India). I am very much interested to have them in my bee yard. Thanks on your post and also all the answers you provided. They help a lot. I would very much like to purchase a few colonies for our farm near Kollam. They seem ideal as pollinators and would love to get into some small scale honey production too. Can you sell some to me. Thanks best wishes David Maloney. I have some small honey bees in my house, I would like to buy sting less bee house. Anybody know any expert to transfer them to new house? Have send you a PM. Person should be able to help you extract cheruthen honey and bees to a new box. Where can buy a sting less Honey bee colony (Cherutheen echa) in Ernakulam. ചെറുതേന്‍ എടുത്തു കഴിഞ്ഞതിനു ശേഷം അതു process ചെയ്യുന്നത് എങ്ങനെ എന്ന് പറഞ്ഞു തരാമോ ? ജലാംശം നീക്കാന്‍ തിളപ്പിക്കേണ്ടതുണ്ടോ? എത്ര താപനിലയില്‍ തിളപ്പിക്കണം ? കൂടുതല്‍ കാലം ഇരിക്കാന്‍ മറ്റെന്തെങ്കിലും ചെയ്യേണ്ടതുണ്ടോ ? തേനിനൊപ്പം പൂമ്പൊടി കലരുന്നത് പ്രശ്നം ഉണ്ടാകുമോ ? I really appreciate your patience and willingness to share knowledge. Does that mean, Full Moon in Jan is the best time to extract honey? When is a good time to divide/split a colony? How can we make out if the honey we have is Vanthen or Cheruthen? Yes Its very easy. Flavor and smell of the stingless bee is very distinctive. It also taste less sweeter than Vanthen. We need the bees for our future, our children’s future. Need your assistance to start up a colony. drop me a mail through contact section. I am also planning to start Cheruthen Eecha colony. I found a natural colony on my house’s wall. please send me the instructions to transfer the colony to a wooden box and other details. Am from Palakkad & hv 2 colonies of Cheruthen @ home. It is at the moment in a rectangle wooden box. One of the boxes is almost full * I need to divide them. Is this the right time to do it & if yes can you guide me on how to do it? Should I buy a new set of boxes or Bamboo Please advise. Also how can I get in touch with you.